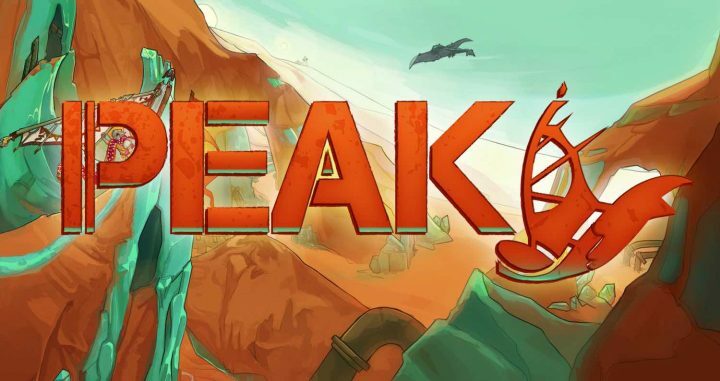 PEAK features a fun mixture of boss battling and SSX-esque boarding as you battle a giant flying alien manta ray while pulling off tricks and racing through a desert on a windsurfing sandboard. In PEAK you take control of a character who uses a futuristic board with a windsail attached to it to race your way through its desert world. You can collect crystals and pull off tricks to earn boost power, but you’re not the only one out there – the world is populated by ancient beasts that have been corrupted by the crystals. In the current build of the game you’ll come across a giant flying alien manta ray that you can throw your board at to damage it. This in turn gives you more crystals and fills your boost bar. The ray is pretty harmless and doesn’t attack you but it does add a nice bit of spectacle to the action. The current build of PEAK is more of a vertical slice/proof of concept than a full game and as such only has the one race/battle to take part in. It’s a great concept that would though be perfect for expanding on – SSX meets Shadow of the Colossus!